Rustic design and style. 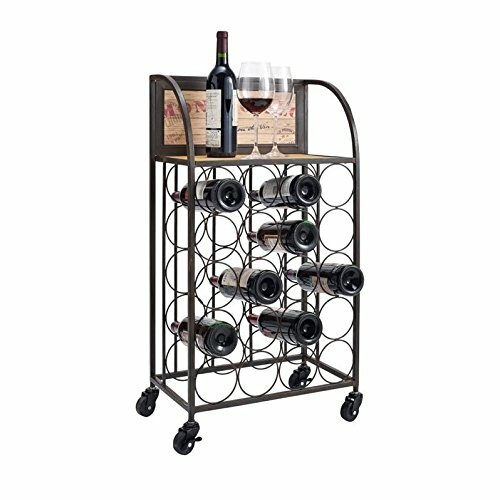 Top is perfect for keeping a wine opener or wine glasses. Twenty standard wine bottle holders. Black and brown finish. Made in China. Minimal assembly required. 20 in. W x 14.25 in. D x 31.25 in. H (60 lbs.). Whiskey Barrel Shot Glass ServingTray-Display.